The CLP Group creates value for shareholders, customers, employees, communities and the environment based on its purpose-led approach to deliver reliable, affordable and sustainable energy. CLP is committed to ensuring all its activities and operations result in Zero Harm for its employees, contractors, customers and the public. It strives to deliver the highest standards at every level of its operations and to continually improve its safety performance. To refocus its efforts, CLP has formulated a new Group-wide Health, Safety and Environment (HSE) Improvement Strategy in 2018, which served as a basis for each region to develop its own action plan for delivery in 2019. This Strategy is being implemented with a sense of urgency and aims to take it towards its Zero Harm vision, underpinning the need for increased vigilance, proactivity and rethinking of risk management. In assessing its organisational performance, which directly affects the remuneration of its senior management as well as other employees, CLP’s Human Resources and Remuneration Committee (HR&RC) takes into account not only what was achieved from a financial and operational perspective, but also how the company achieved its performance from the safety, environmental and governance perspectives. The HR&RC also sets a number of specific objectives each year reflecting the strategic priorities of the Group. In 2018, one of those objectives was to review safety culture, practices and processes, and address safety performance issues, with particular emphasis on contractors. Other operational aspects considered include environment and internal control. In 2019, with public support for Power Your Love, CLP is launching Power Connect under the new Scheme of Control Agreement (SCA). The year-round programme aims to encourage energy saving and help people in need. In Australia, the “EnergyAssist” hardship programme helps customers by offering tailored payment plans, payment matching and debt waivers. Customers may also be referred to external community organisations such as financial counsellors. In late 2018, EnergyAustralia began a study to measure the social impact of the programme, the results of which will guide its thinking in the future. Its Financial Inclusion Action Plan (FIAP) sets out a programme of activities and public commitments to improve financial inclusion within the community and will be completed in early 2019. 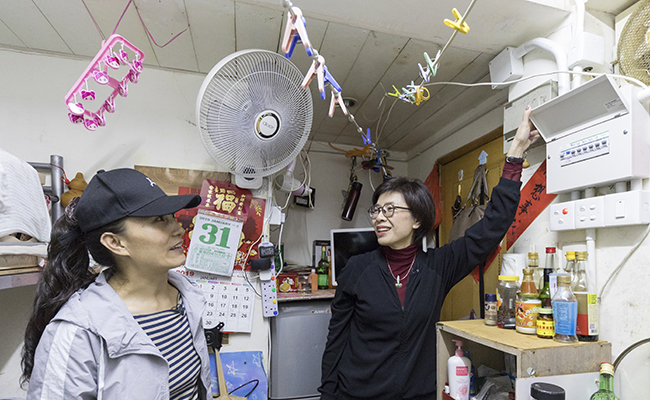 In Hong Kong, CLP is upgrading conventional meters to smart meters for all its residential and small to medium-sized business customers. This programme commenced in November 2018 and is being rolled out in phases to 2025. 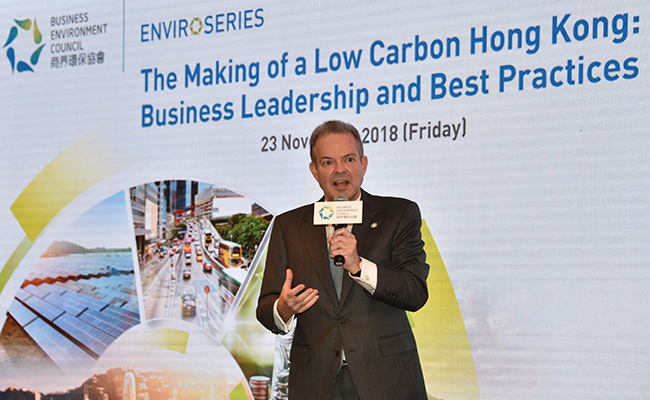 Furthermore, the newly developed Renewable Energy Certificates (REC) scheme allows CLP’s customers in Hong Kong to support local renewable energy development. People located anywhere in the world can also purchase carbon credits from CLP India’s wind farms through the CLP Carbon Credits platform. The power utility sector is heavily regulated, and government policies and regulations remain a major influence on CLP’s business. In Hong Kong, the SCA defines the company’s role as an electricity provider, and provides a regulatory framework for the Hong Kong Government to monitor its operating performance and financial affairs. The current SCA, signed in April 2017 and effective for 15 years from 1 October 2018, takes into consideration the Government’s long-term carbon reduction target, while providing the policy certainty CLP needs to invest for the long-term. The company also participates in a range of industry and professional bodies to discuss the major issues it deems important to its ongoing viability and success. CLP plans to further improve its health, safety and environmental performance and continue to frame the way it serves its communities around the four pillars of Environment, Education and Development, Community Wellbeing, and Arts and Culture. Stakeholder engagement, participation in industry and professional groups to contribute to policy discussion, and support for smart city development are critical to the decarbonisation and digitalisation efforts required to meet CLP’s objective of building a utility of the future. So too is aligning its strategic transformation with government policies. To learn more, read the CLP Group's 2018 Sustainability Report.